Is there a more magical day for a couple in love than their wedding day? When all goes to plan, it can be the perfect start to amazing experiences that only get better as time passes. However, there is nothing stopping that day from quickly turning to horror if the circumstances are right. What begins as the brightest day in two people’s lives can instantly turn to the start of a long, painful, and terrifying journey. 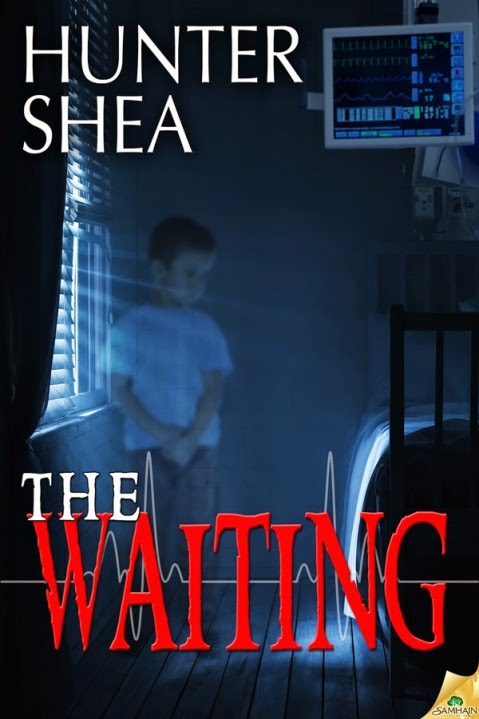 This is what happens in Hunter Shea’s novella, The Waiting. “Clinging to life, haunted by the dead. Given that this novella clocks in at only a little over 100 pages, Hunter Shea does an amazing job making use of every single moment. Even though we are thrown right into Brian and Cassandra’s wedding day, we can’t help but connect with them almost immediately. Shea creates solid, likeable characters that just seem to fall victim to extreme misfortune when Cassandra suffers a freak medical issue that places her in a comatose state. The issue is only made worse after Brian brings home his wife, who is unable to regain consciousness, in the hopes that the environment will have a positive impact on her recovery. Instead, he discovers that what was intended to be their first home together as a married couple could have devastating results for Cassandra. Shea quickly, but effectively builds the tension and suspense as he makes it obvious that there is much more than Brian’s overstressed mind contributing to the weird things starting to happen in the house. The pacing is near perfect. While I will not give any spoilers, I will say that the ending will leave you feeling cold all over! Often an issue in books involving hauntings is the tendency for the author to draw out the paranormal action too much and then try to rush it all in at the end. This can create a dull book most of the way through that feels like it became too quick paced and didn’t fully take the chance to establish and maintain the right atmosphere for a ghost story. Shea made a fantastic decision in making this book a novella. There was too much story for it to fit as a short story, but it really did not call for a full novel to do justice to the tale that Shea tells us. This provides a quick, but intense read for any fan of the haunting subgenre of horror. Overall – 4.6/5 – If you don’t read this book, the decision just could haunt you!